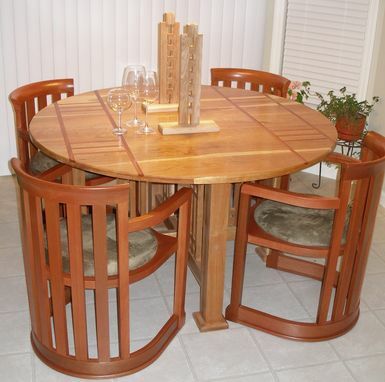 Our Prairie round dining table. 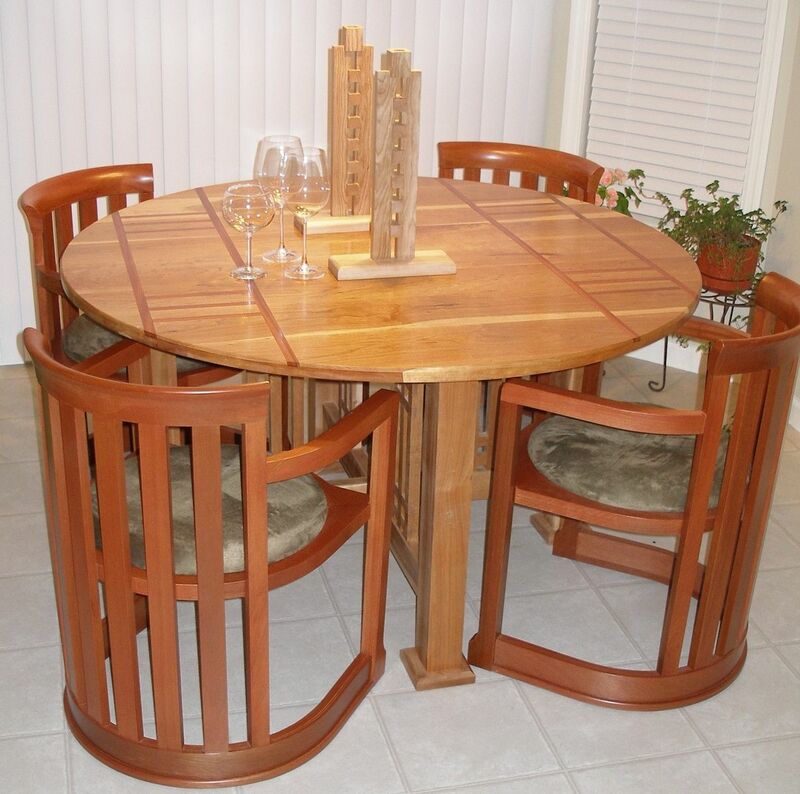 Made in cherry with Brazilian Cherry (Jatoba) inlay on the top to match the chairs that the customer already owned. Clear polyurethane finish. Dimensions: 54 inches round by 30 inches tall.